It's not binging, it's intermittent fasting. And it's what Paramus' Blake Horton has been swearing by for years and what he says helped him shed nearly 60 pounds. Horton's 358,000 Instagram followers watch him eat 4,000 calories per meal -- but just once a day. 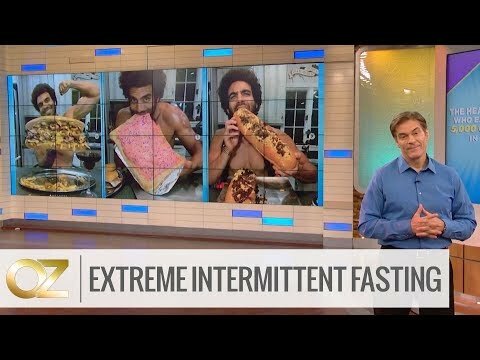 The social media sensation recently appeared on Dr. Oz, who also preaches intermittent fasting, a non-traditional eating method that helps the body burn fat while giving the digestive system -- and others -- a break. "Biologically we were meant to feast or fast," Horton explains. "I eat all my food and yes I look like I have a huge baby but that's just while resting." Horton, often seen biking through Saddle River County Park, meticulously counts his calories and makes sure to hit his recommended macronutrient goals in check. More than 1,300 people have watched Horton's videos and began the "Blake Diet," Horton's how-to guide on intermittent fasting.